The man with the kilo fish. Went for a quickie over the weekend at my backyard. The fishing ended prematurely due to a menacing looking sky looming above our heads. 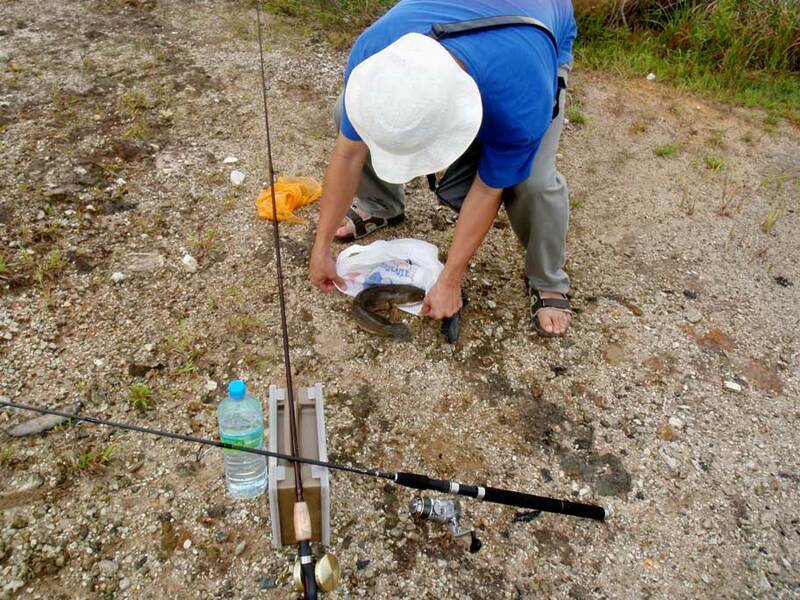 Ed made short work of this fish weighing exactly 1 kg by using a soft plastic swimbait.